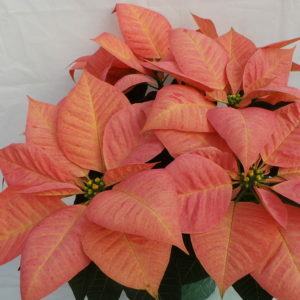 The Ice Crystal poinsettia is unique for its bracts that are cream down the middle and shimmer into pink. Available in 4.5″ pots. 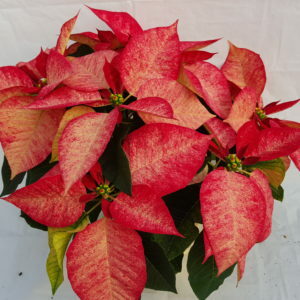 The Ruby Frost Poinsettia has variegated red and white oak-shaped bracts. Available in 4.5″ pots. 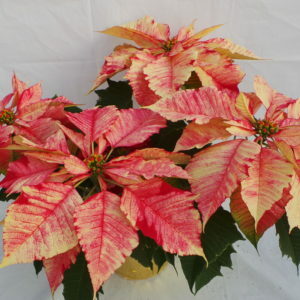 The Christmas Feelings Merlot poinsettia is unique for its dark red bracts and orange cyathias. Available in 4.5″ pots. 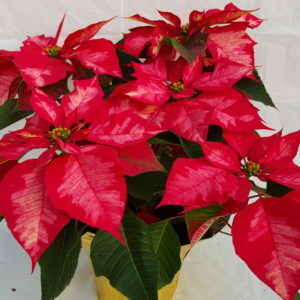 The Winter Rose Poinsettia is know for its large, rose-like blooms. 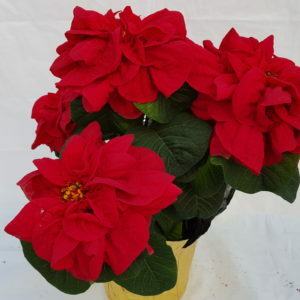 Some people refer to it as a Christmas Rose. 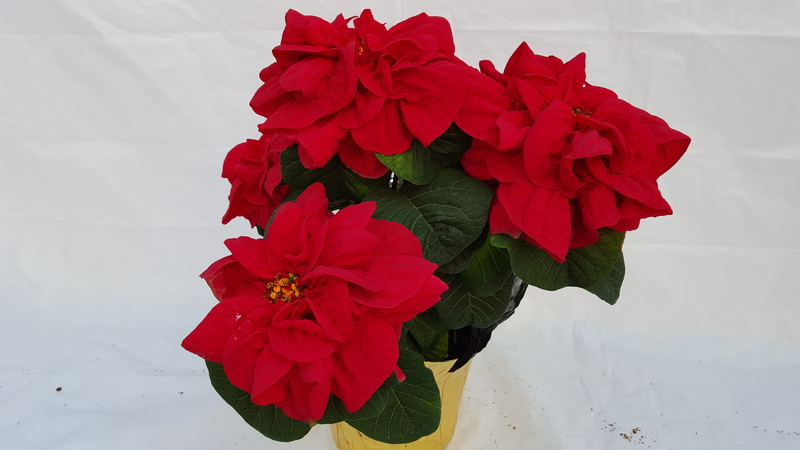 Available in 6.5″ pots. 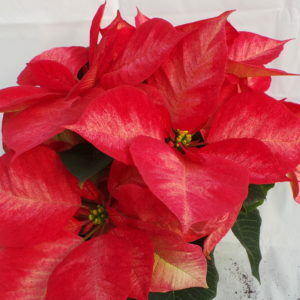 The Ice Punch Poinsettia has rich red bracts with centers brushed with a soft frosty white center. 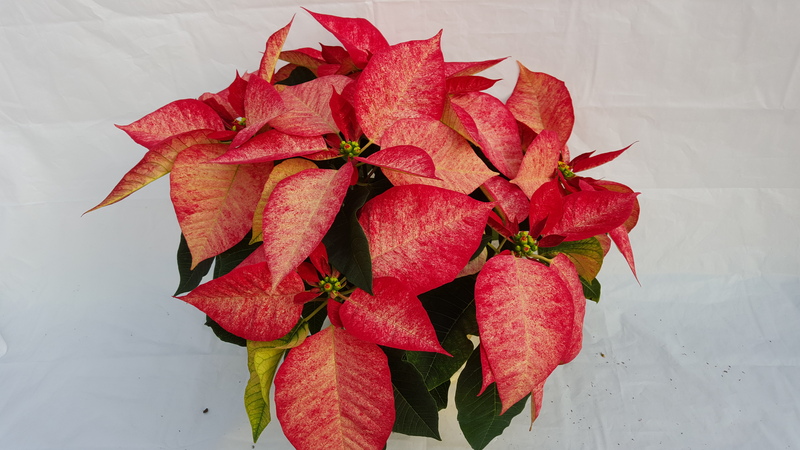 Available in 6.5″ pots. 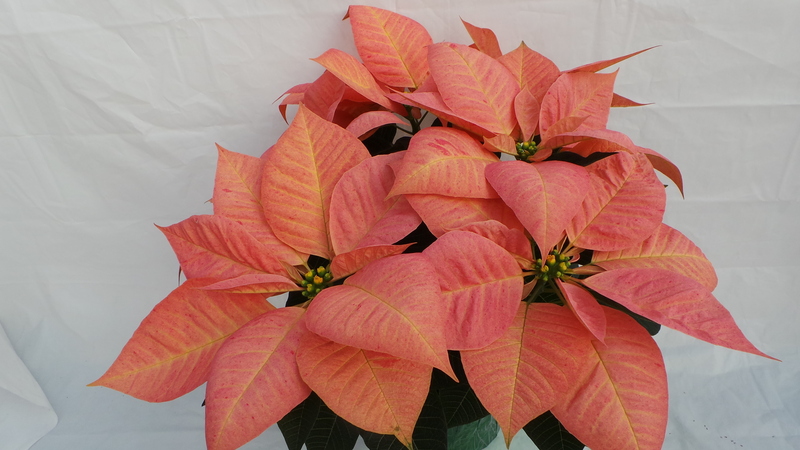 The Sparkling Punch Poinsettia is a lighter shade of pink with a white patch down the center. 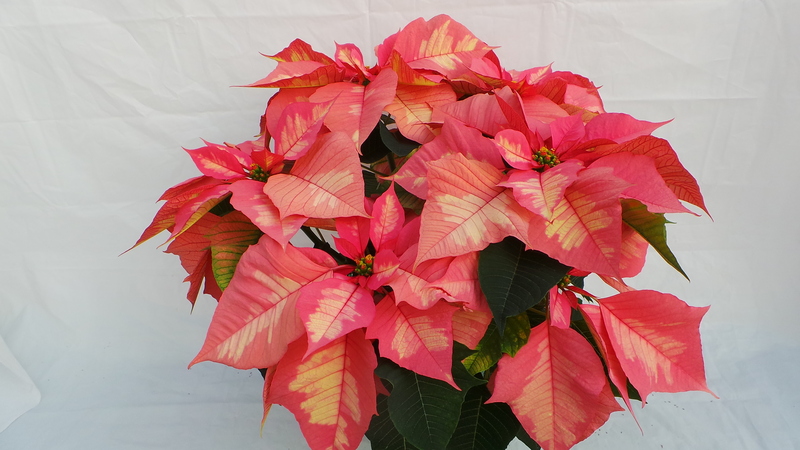 Available in 6.5″ Pots. 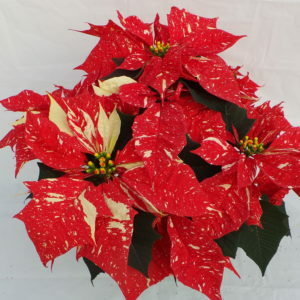 The Premium Picasso Poinsettia has bracts that are white with a red thick red outline and red speckles. 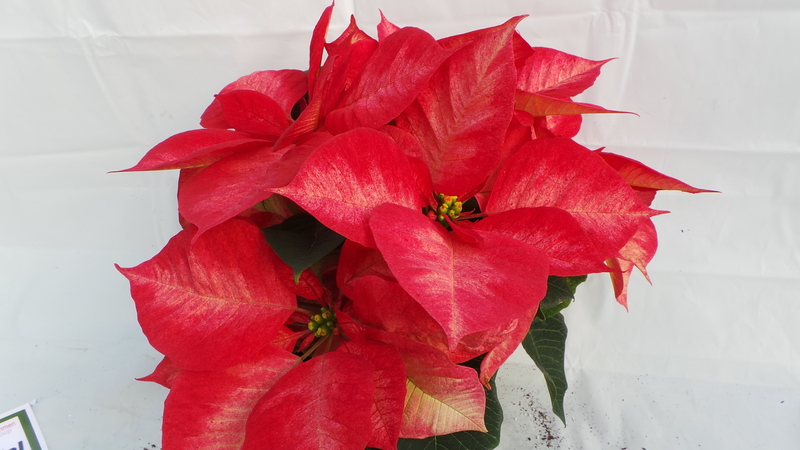 Available in 6.5″ pots. 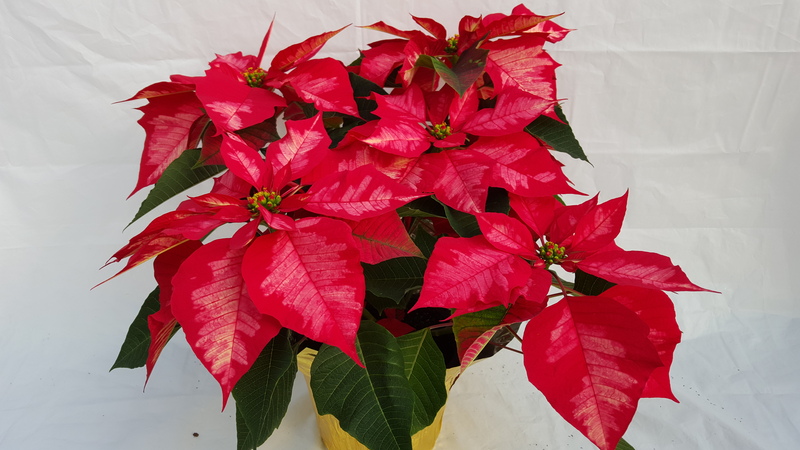 The Sonora white glitter poinsettia is known for its red bracts that are covered with white festive speckles and offset with deep green leaves. 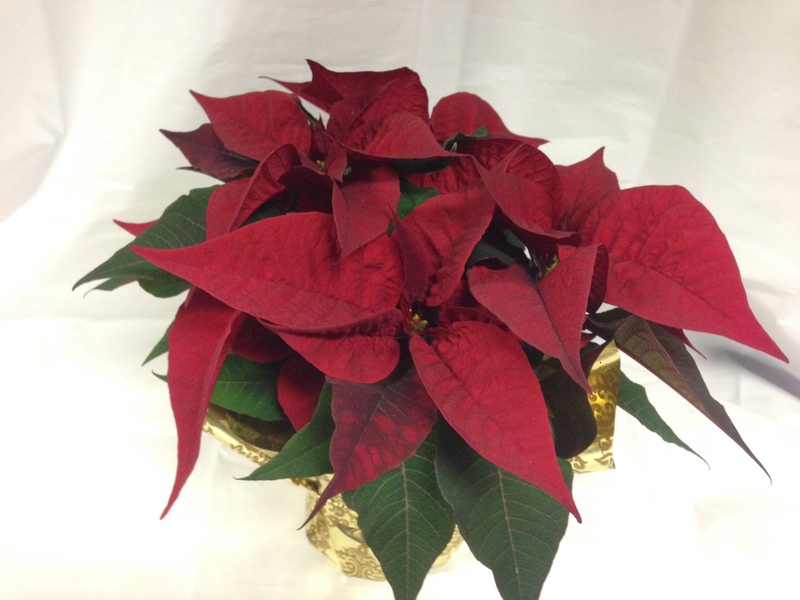 Available in 4.5″ and 6.5″ pots. 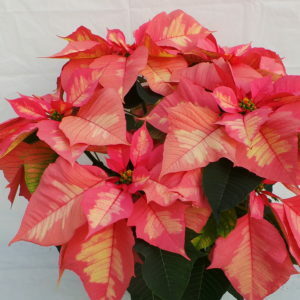 The Viking Cinnamon Poinsettia has rosy pink bracts with rosy pink speckles and a creamy yellowing around the veins. 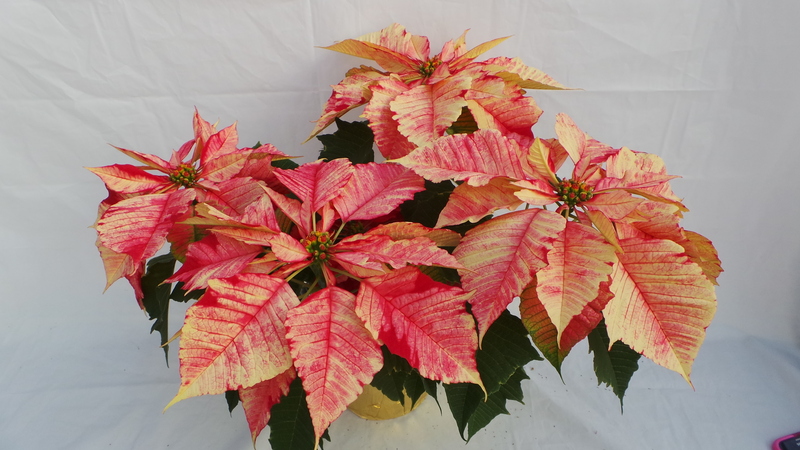 Available in 6.5″ pots. 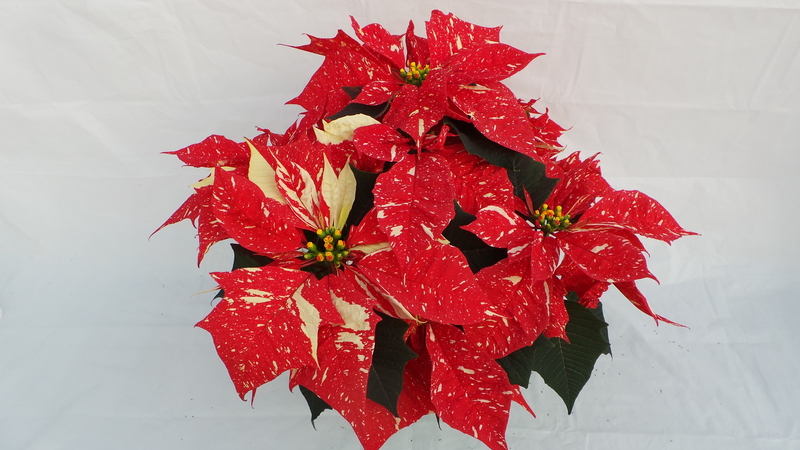 *All 4.5″ poinsettias come wrapped in festive mylar and packed in cases of 15. 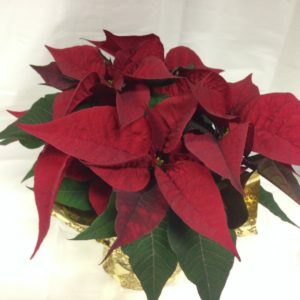 *All 6.5″ poinsettias come wrapped in festive mylar and packed in cases of 6.